It's not news I suppose that it gives me so much joy dressing my little boy. I've spoken before about how I worried in pregnancy that boys clothes would be quite limiting opposed to girls. Whilst I don't have a girl to compare I can tell you that dressing boys is SO much fun. You don't have to dress them in football or tractor prints unless you want to and there are so many great high street options when it comes to classic kids clothes. Tom and I have spoken about how glad we are we decided to get hitched after having Wilf. Although we hope we are lucky enough to have more kiddos in our future we also love the idea of sharing our special day with the people that make up our little family, Tom, Wilf and I..(and the cats I guess they could be ring bearers if we started training them up now). It's also helped make up feel a little less anxious about the day itself, I know if I feel nervous about the first dance I can just grab Wilf and we can have a first dance with all three of us! I'm really excited to see how much fun he has on the day with our friends and families. I'm also super excited about dressing him for the wedding! Picking out Wilf's outfit was one of the first things I did and he looks ridiculously cute in it, although I guess I may be a bit bias. 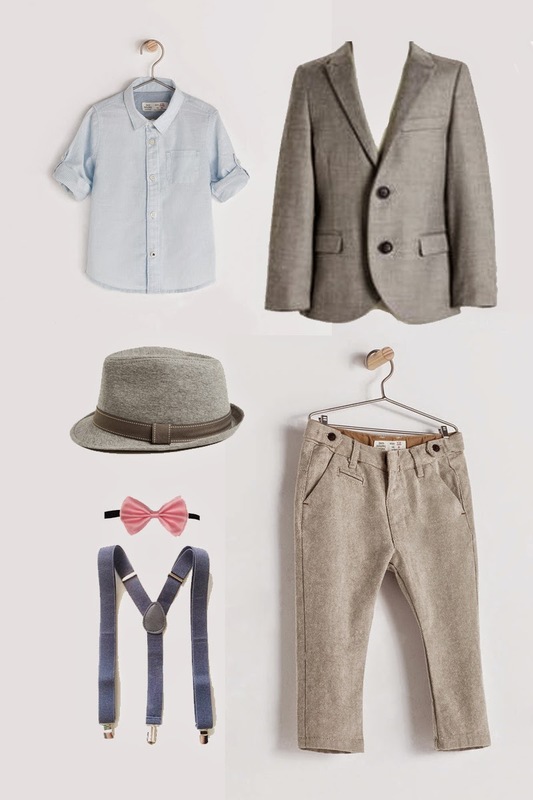 Shirt, Trousers and Trilby are from mini Zara. I'm sad that from 3 he will have to move up to kids as I feel like the best stuff is always in the mini section. I've become a little addicted to Zara for both Wilf and I lately if I'm honest! Jacket from Next, you can see Wilf trying it on in a blurry phone pic from this post. He's in a 3-4 as he is quite big for his age and 2-3 was just too tight. This little guy is going through some massive growth spurts at the moment and eating loads (I'm dreading teenage years!). Initially I wasn't sure about a suit jacket on a child, I didn't want him to look too formal or like he was off to the office but I think the other items make it a little more casual. The braces and bow tie set were from this* Etsy shop, cute right? Did your kids go to your wedding? I'd love to hear about it if so!